Presented by Rattlestick Playwrights Theater in partnership with Rosalind Productions Inc., in association with New Neighborhood. 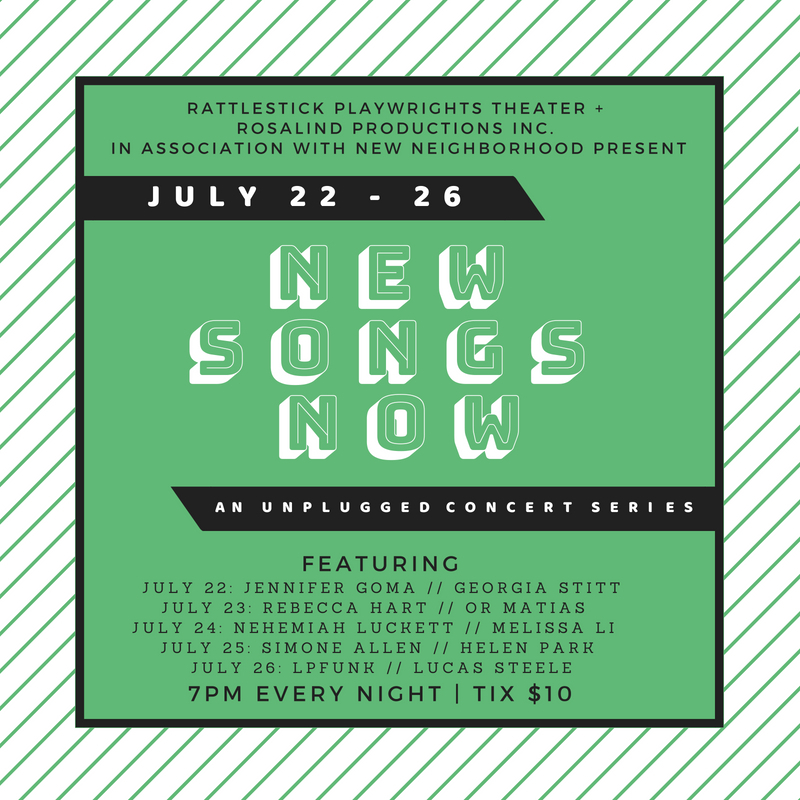 New Songs Now is an unplugged concert series that gives inventive songwriters the opportunity to test out new material in a low-key, fun environment. We believe in creating a space for innovative artists to try out risky new material, and New Songs Now does just that. Each night, composers share selections of their work, followed by a conversation with the artists to demystify the songwriting process.